…But don’t worry they don’t block the whole window! 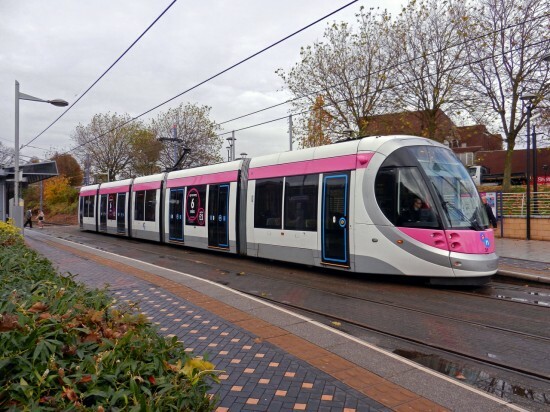 As has become the norm on many public transport vehicles – buses as well as trams – many of the Urbos 3s which operate the service on Midland Metro have, over the past couple of months, received window vinyls advertising the service frequency enjoyed on the network. So far at least 17, 20, 21, 22, 28, 31 and 34 have received the vinyls which have been applied to the second and fourth section of the five section trams. Each section has two separate vinyls with one stating that trams run up to every 6 minutes with the other telling would be passengers they can travel from £1.